Thai food is my favorite kind of food in the world. (Yes, I actually moved to Thailand for that reason.) The balance of sweet, salty, sour, bitter, and spicy leave me feeling satisfied in a way that no other type of food does. If you are wondering which place in Thailand to visit for the best food, I highly recommend Bangkok. 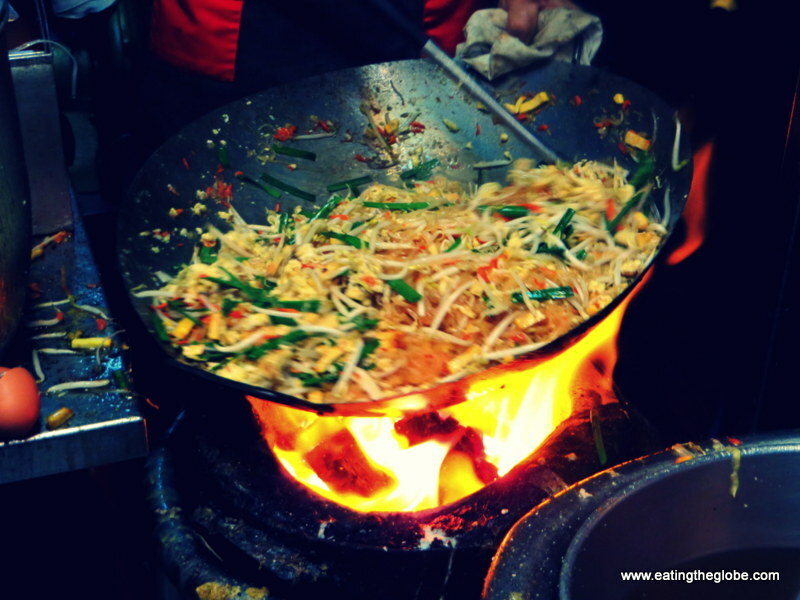 Not only are there plenty of things to do in Bangkok, it will give you the chance to sample the biggest variety of food. Here are my recommendations for the best Thai foods that you have to eat on your next visit to Thailand. If you like to slurp, do yourself a favor, and order a big bowl of Tom Yum Goong noodles. 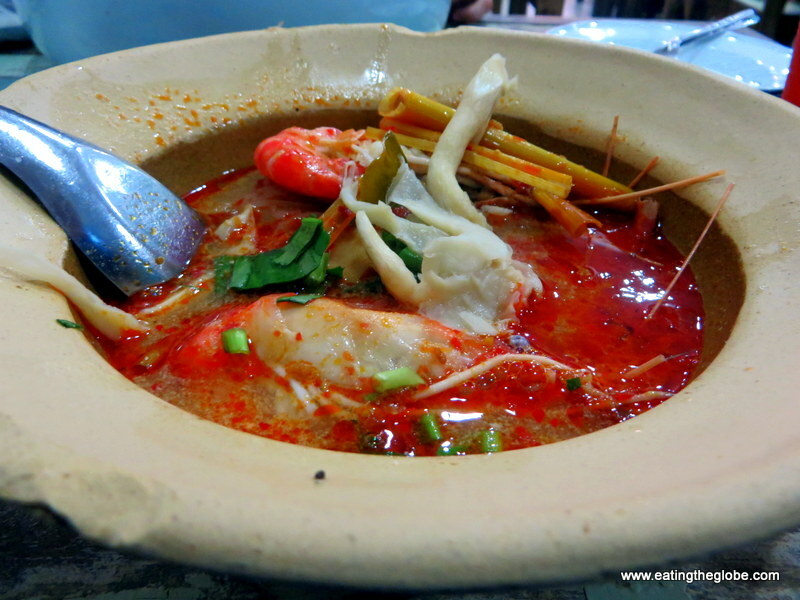 Tom Yum Goong is one of the Thai comfort foods, and is something you must not miss. This soup is full of noodles, jumbo prawns, and outrageous flavor.Hot and sour, fire and spice, rich and creamy, it will satisfy cravings you didn’t know you had. For the best bowl of tom yum goong, head to P’Aor in Bangkok. For me, eating Som Tam, is like feeling a refreshing ocean breeze on a sultry day. 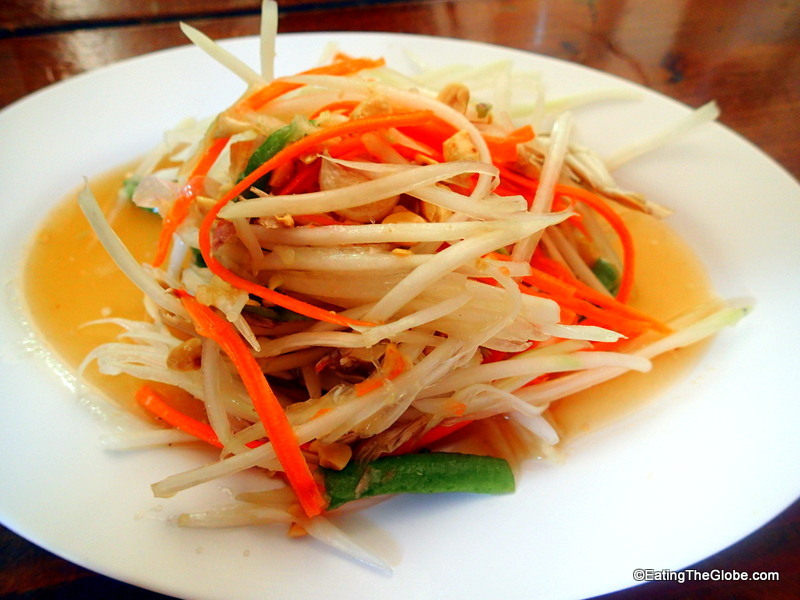 The crisp green papaya salad made with fish sauce, lime, and chilies, is one of the Thai foods you must try. This dish portrays the five tastes more than any other. This dish is usually very spicy and is often served with sticky rice. The best Som Tam I’ve had was at Cherng Doi in Chiang Mai. If you’ve only had Pad Thai outside of Thailand, I can promise you that you haven’t really had Pad Thai. Before I went to Thailand, I only had it in the US, and it was sweet and a little gloppy. Pad Thai in Thailand is nothing like that. Pad Thai is made with tamarind paste which gives it a tangy flavor, fish sauce, noodles, dried shrimp, eggs, tofu, garlic, and chilies. It is served with a choice of meat such as shrimp or chicken. My favorite Pad Thai is at the Pad Thai stall on Soi 38 (he does a Tom Yum Goong version) and at Pad Thai Thip Samai (done over charcoal), both in Bangkok. 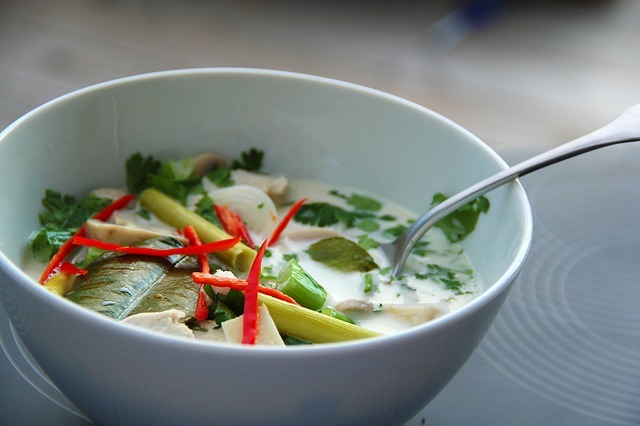 The combination of kaffir lime leaves, ginger, galangal, lemongrass, mushrooms, coconut milk, and chicken is another one of those Thai foods that will have you slurping up bowl after bowl. This soup is silky, and the aroma is like spending the day in an exotic Oriental spa. The Thai people eat this soup over rice instead of like soup. Boat noodle soup is also one of my absolute favorite Thai foods. 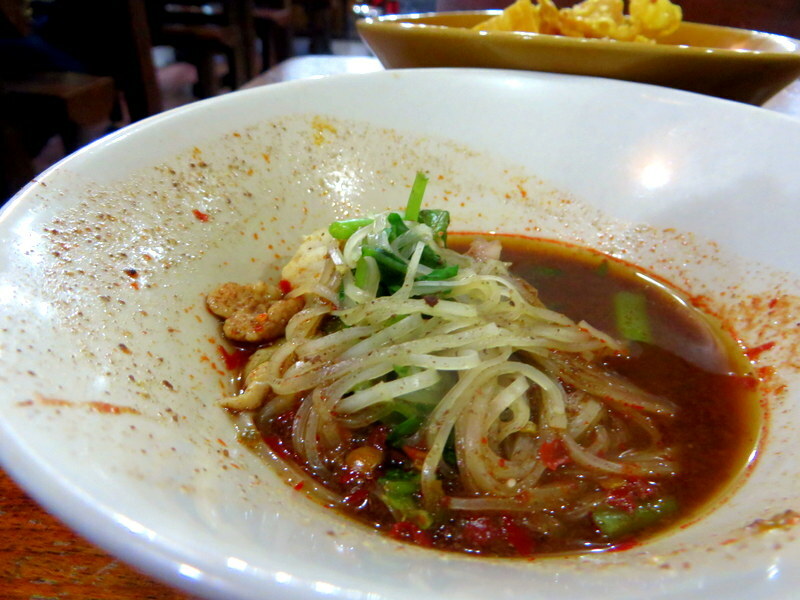 It is made with cinnamon, garlic, bean sprouts, pickled bean curd, dark soy sauce, noodles, and pork or beef. Beef or pig’s blood is usually used to season the soup. It may sound weird, but the flavor is incredible. It is served in very small portions, and you stack the bowls, to show how much you’ve eaten. It is so good, I once ate nine bowls! It used to be served from the boats in Bangkok’s canals, hence, the name. The best I had were on Boat Noodle Alley at Sud Yod Kuay Teow Reua, near Victory Monument in Bangkok. I also had great boat noodles in Chiang Mai at this place. What could be better than potatoes, onions, beef, roasted cashew nuts, cinnamon sticks, cardamom, star anise, cloves, coconut milk, chilies, and fish sauce? Not much. 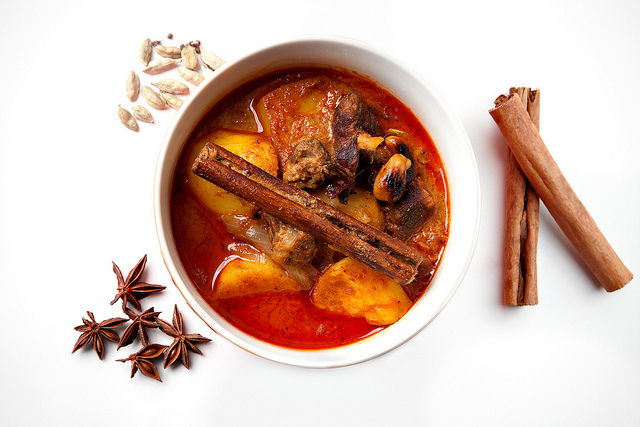 Massaman curry is one of those Thai foods that gets its combination of flavors from a mixture of cultures. When it’s done right, it’s very satisfying, and a bit like getting a hug from your mother. Phat Kaphrao is minced meat fried with soy sauce, chili, garlic and holy basil, and you will see this common street food absolutely everywhere in Thailand, especially in Bangkok. 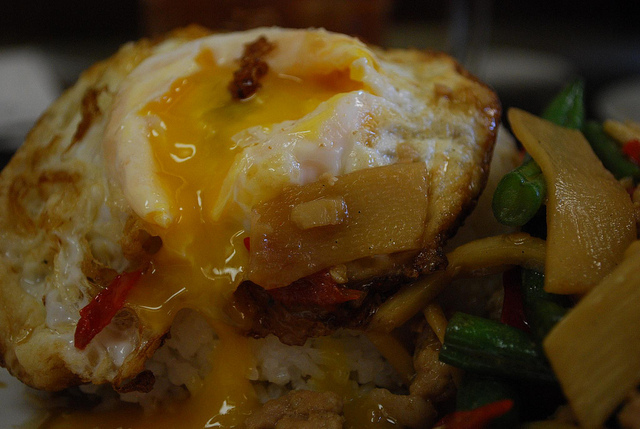 Make sure to get it with a fried egg on top, and eat it with lashings of fish sauce and extra chili. Roasted or grilled snakehead fish may look scary, but it’s absolutely delicious. 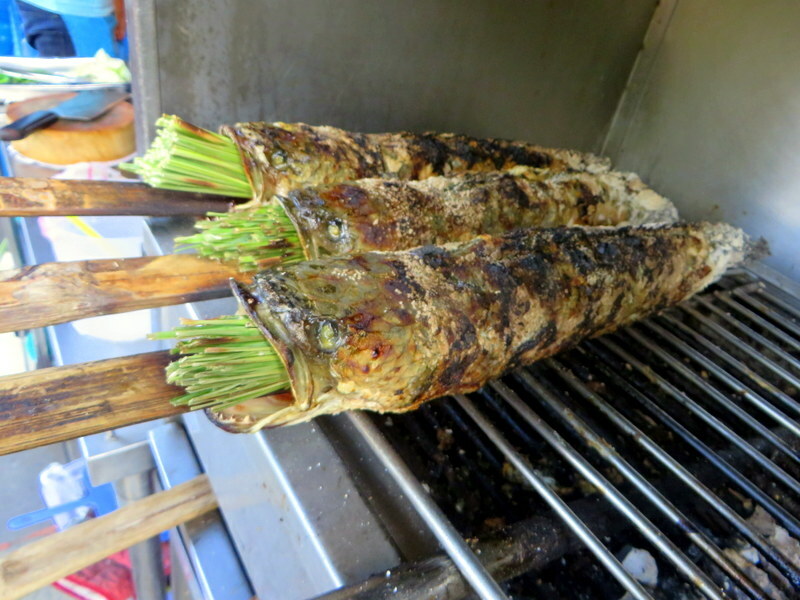 The fish is stuffed with lemongrass and herbs, coated in salt and put on the grill to roast. The fish stays moist, and the dipping sauces the fish is served with really make it. This is Isan food at its best, and you can have the best roasted snakehead fish at Som Tam Boo Maa Restaurant in Bangkok. Khao soi is one of those Northern Thai foods you wish you could eat every day for the rest of your life. It is usually made with chicken (though you can also find beef and pork), egg noodles, shallots, lime, pickled mustard greens, chilies, coconut milk, and crispy egg noodles on top. 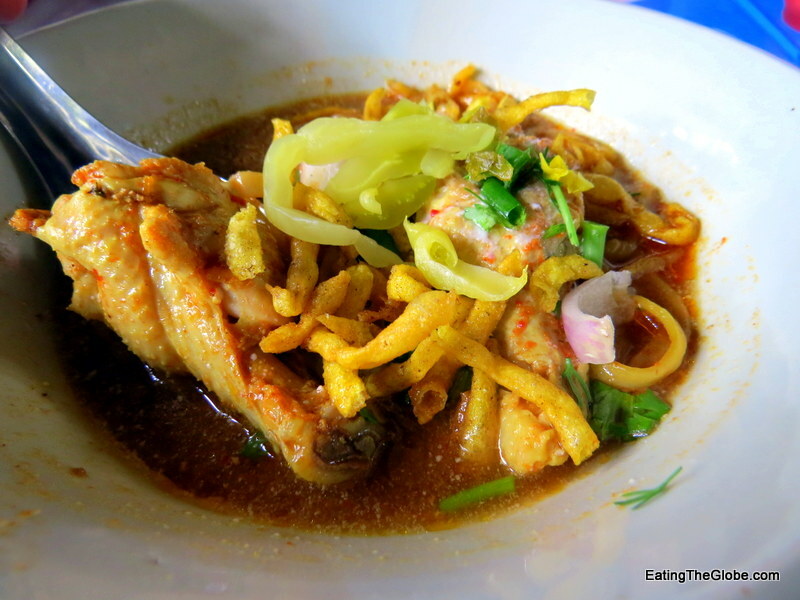 The best khao soi of my life was in Chiang Mai at Khao Soi Lam Duan. I can’t mention Thailand without mentioning one of the best Thai foods on earth. Sticky rice and mango is the absolute perfect dessert. Sliced mango is served on top of sticky rice with sweet-and-salty coconut cream and puffed rice crisps. 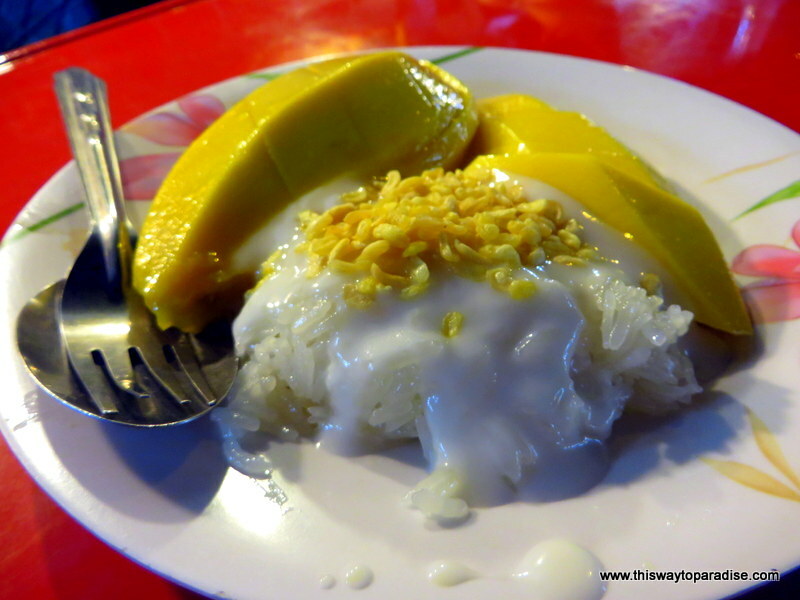 The Thai mangoes are the best I’ve ever eaten, and their sweetness is what makes this dessert so good. You can find this Thai street food all over Thailand. If you’re headed to Chiang Mai, check out this article which highlights all the places that Anthony Bourdain ate at when he visiting Chiang Mai! 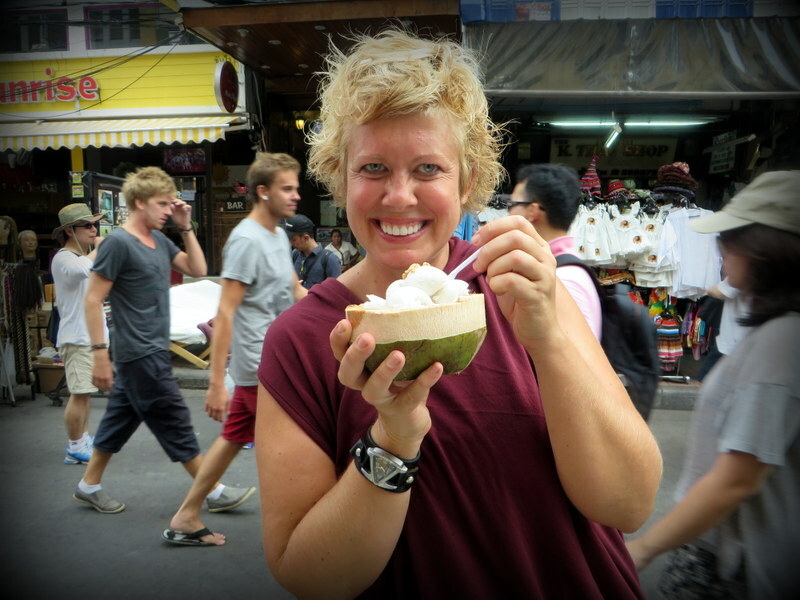 Also, don’t miss the coconut ice cream you see all over Thailand. I eat it every chance I get! I owe expansive thanks to Mark Wiens for steering me to some of the best Thai food in Bangkok. You can order his guides below, which I highly recommend. 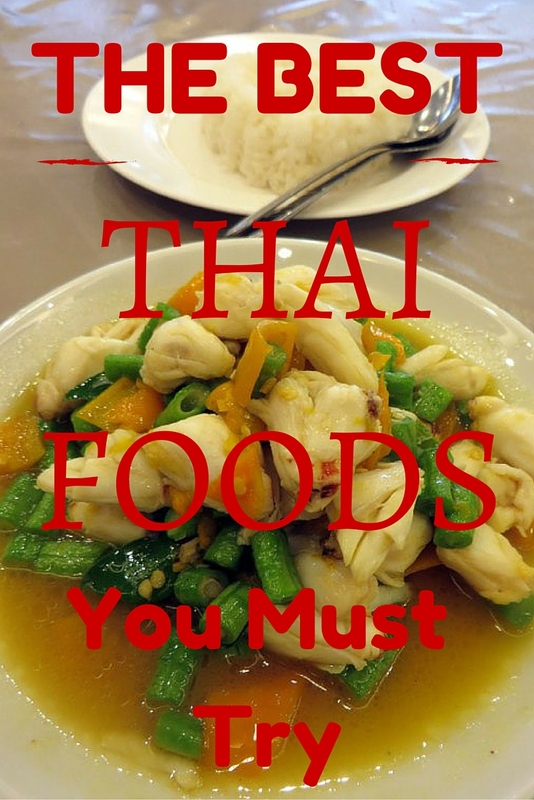 Click here to view more details for the Eating Thai food guide. 7 Responses to "10 Of The Best Thai Foods You Must Try"
My son and I will be taking a trip to Chiang Mai in December. Any “must eat” at places you can recommend would be appreciated! ! Great recommendations – the Boat Noodle Soup and Phat Kaphrao look like really unique and interesting combinations of ingredients! I love several of these dishes and would love to try the rest! I think that fish stuffed with lemongrass would be SO delicious. No fried Grasshopper? It is actually delicious! Just when I’m craving for some Thai food. So jealous..